Your wedding should be the most beautiful and memorable day of your lives as a couple. If you have finally popped the question, and she said yes, then you must already be in the process of making preparations for your upcoming celebration. From huge factors to consider such as the venue and the wedding dress to the tiniest details including the return gifts, centerpieces for each reception table, flowers and even the napkins placed on each table, you only want the best and you make sure that everything is according to your taste style or even your budget. One of the most important things you need to prepare for is a pair of wedding rings. As much as possible, you don’t want it to be just like everybody else’s—a simple gold or silver band with nothing else on it; you’d most definitely want a unique ring for your wedding . Even a wedding ring has way too many diamonds your hand sparkles each time you wear it, if it’s not exchanged as the truest sign of love, these diamonds will have no value. Personalization is the new way of being unique. 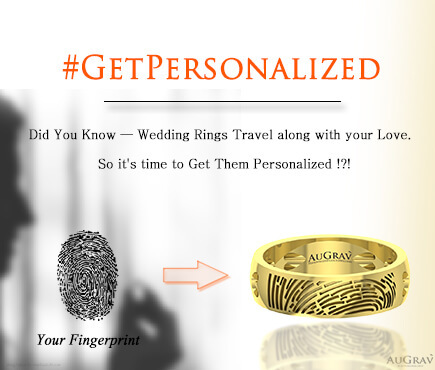 Be unique and have your wedding rings personalized; and we’re not just talking about engraving your names on each ring. Why not make you rings an expression of your love for each other… literally? 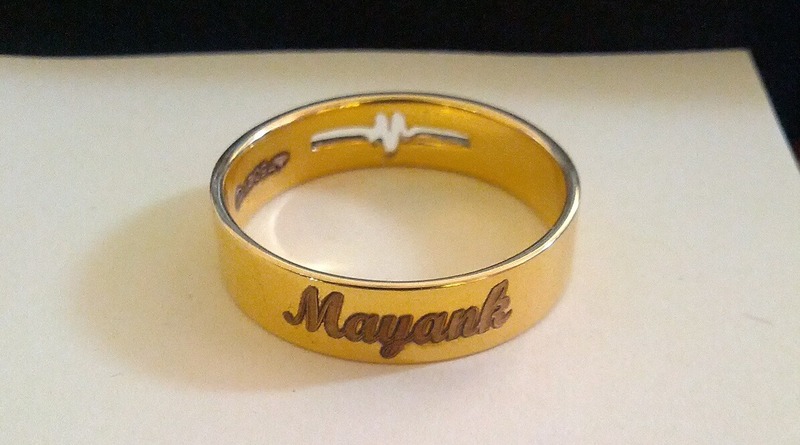 Inquire about custom sound wave ring for your wedding and always have that confession of love on your finger. You’ll be happy to know that you can buy your voice wave form ring price is actually quite affordable and very easy to get one for your wedding with sound wave engraved on your wedding ring. 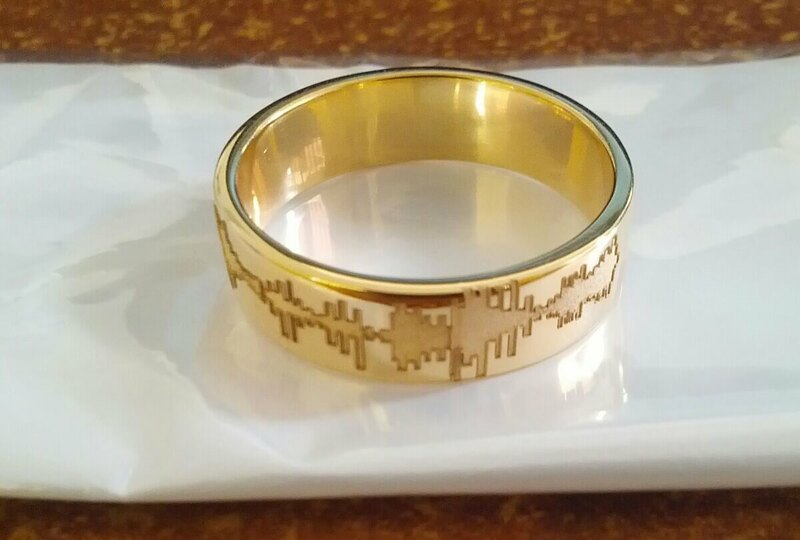 How to Get Your Sound Wave on A Gold Ring? 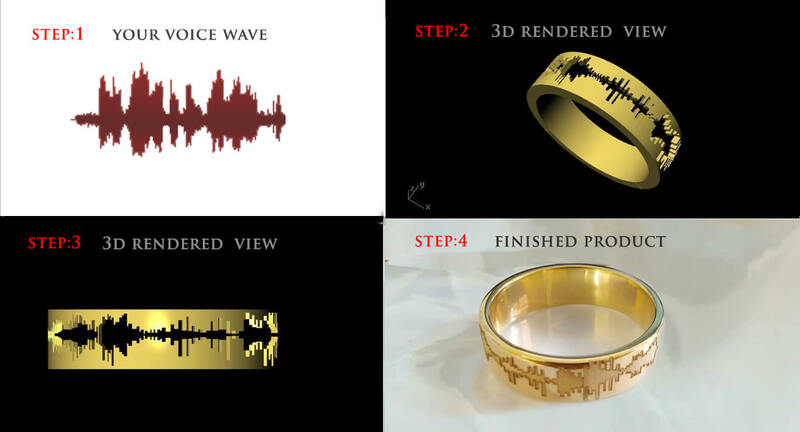 The steps in making a customized sound wave wedding ring are rather simple. 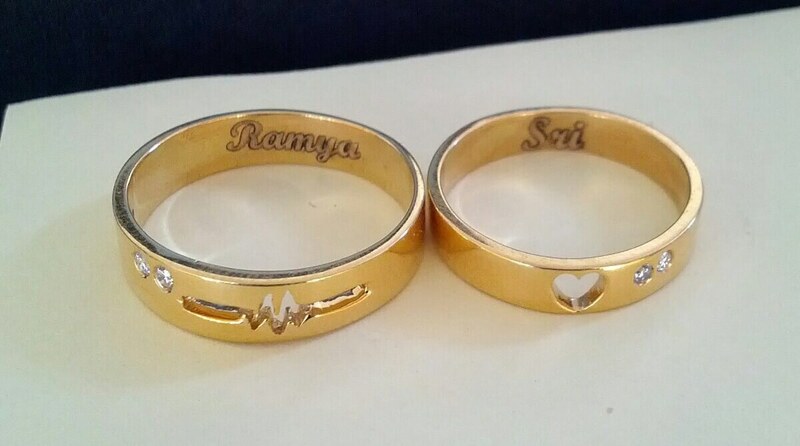 After agreeing on a sound wave ring price with a jeweler, you have to send bride and groom’s sound wave. It could be as simple as I love you sound wave ring or a more personalized message. Whether it’s yellow gold, white gold, silver or any other band you prefer for your sound wave ring, you just have to choose the right ring design would perfectly fit you and your partner’s style. You also need to choose the diamond that will be placed on these rings. 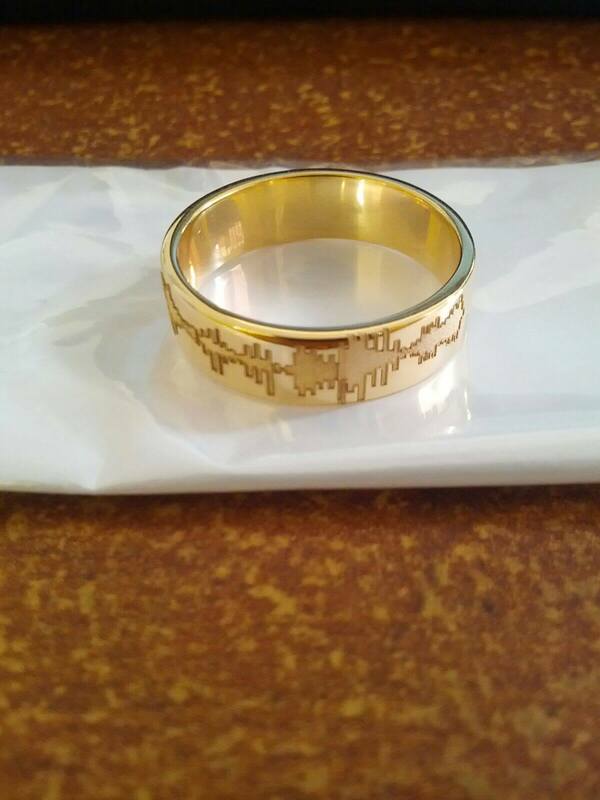 After placing your order, the designer will be sending the sound wave ring within 2 to 3 days. This is the time you can make the necessary changes and finalize everything you want on these rings. Finally, it will only take 5 to 7 days for the rings tobe made. Or You can reach out to us here. Everyone who sees your ring will be interested or even curious on the story and the message behind it. Though a sound wave wedding ring may not be as expensive as wedding rings that are sparkling with too many diamonds; its beauty and the expression of love that comes with it are definitely priceless. 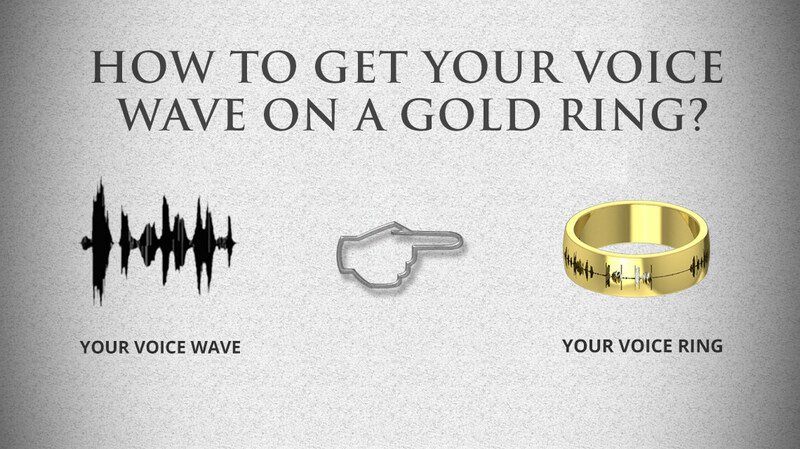 Get Your Voice Wave Form On Your Wedding Ring. Be the “talk of the town” during your WEDDING. If you still not convinced, we have listed enough reasons to Why You Should Prefer Personalized Ring Over Diamond Ring. Each time you feel the engraved sound waves on your wedding ring as you wear it, you will be reminded of that special day when your heart has been officially united with your spouse’s heart. 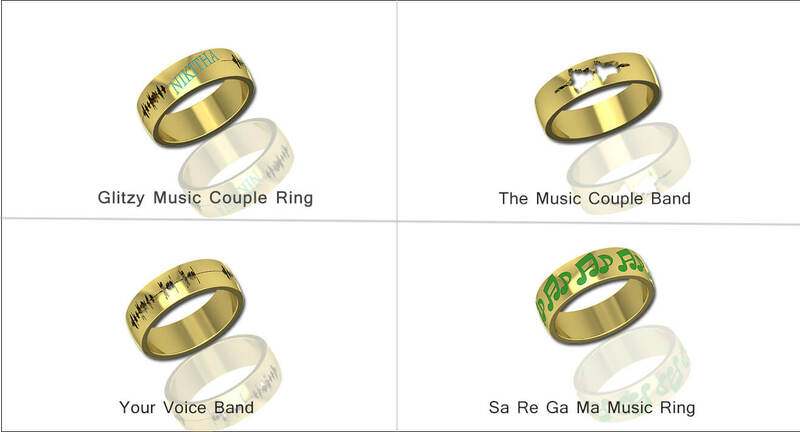 Decided to buy sound wave rings for your wedding and don’t know where to buy one?. 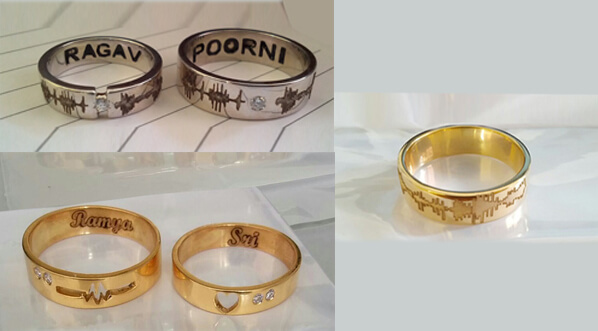 We can make any customization in gold ring for your wedding like name engraving, bar code engraving, fingerprint engraving etc. You can reach out to us at [email protected] or call us at +91 9894035834. 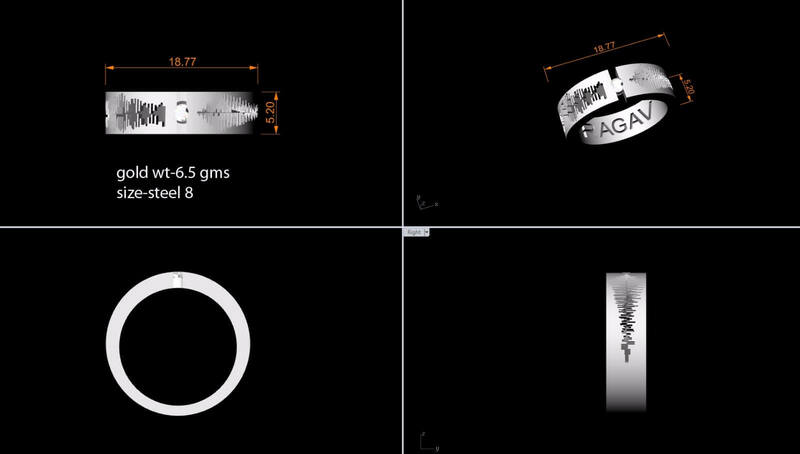 Usually these ring’s weight ranges from 6 to 8 grams and varies based on the size of the ring. Still you got doubt about sound wave rings? Comment your questions below, we are glad to clarify. Your Voice Wave Form Ring - Why You Should Get One For Your Wedding Overall rating: 4.7 out of 5 based on 235 reviews.